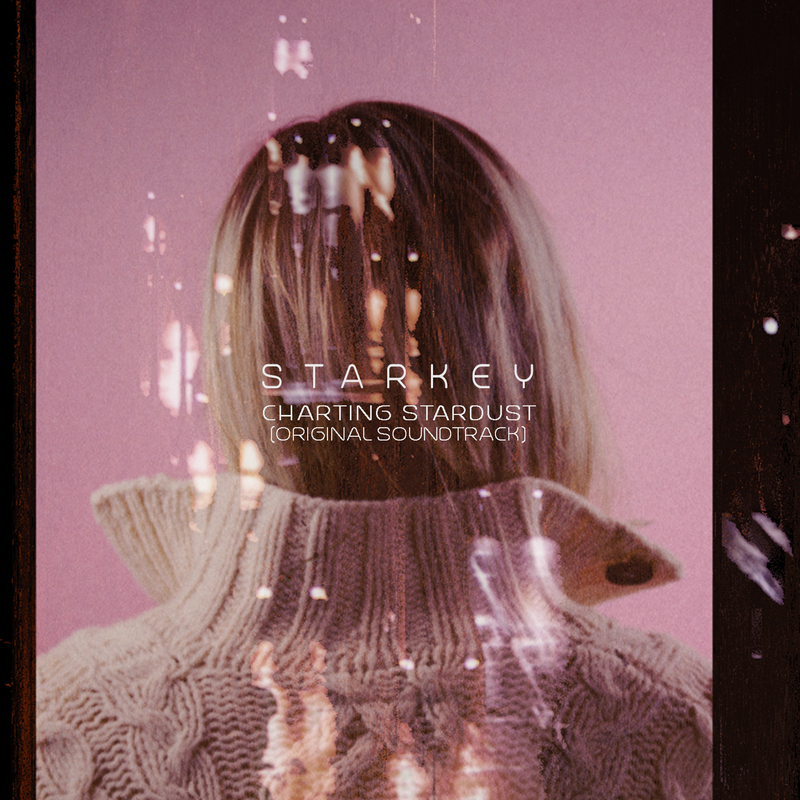 ‘Charting Stardust (Original Soundtrack)’ is the most ambitious chapter of Starkey’s already expansive sonic story. Where once he teased his cinematically ambient palette, with “Charting Stardust (Original Soundtrack)“, the revered low end maestro swan dives through black holes into galaxies beyond the maxed-out movements and unbridled displays of electronic agility championed in Starkey’ releases for Ninja Tune, Planet Mu, Alpha Pup, & Civil. The opener “BOL” bleeds in with calmly austere apprehension – cleansing the palette for the first act of cinematic synth fills and digitally-stricken textures of “Ecliptic” and “Pingd”. “Into the Sky” plays out like a sentient Laurie Anderson emulator that feels more love than its capable of processing, while “Cooling Tower” is an unbelievably grandiose slice of synthetic orchestration, brimming with hope and despair with equal fervor. Much like the album opener, “Colorful Species” preps the second act of the gloriously schizophrenic suite of eerily (un)human emotions of “On World” and “She Crashes”. The unnerving static of “Alien” evokes images of transmissions lost, leading to the woeful defeat in the grand piano chords of “Seas”. Fittingly, “Charting Stardust (Original Soundtrack)” leaves us with the sweetly optimistic “Polar” – an evocative closer wrapped in a promise of rebirth. “Charting Stardust (Original Soundtrack)” is a visceral screening of unseeable worlds, projected through these twelve transmissions from electronic music’s boldest navigator.